Visiting Kailua Kona and looking for a place to swim? Nice selection! Don't forget to tell us how did it go. 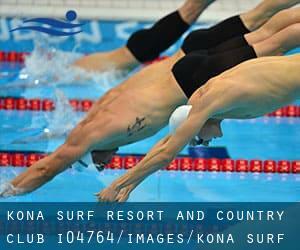 Introducing now Kona Surf Resort and Country Club swimming pool, an incredible swimming pool sent by a swimmer like you few days ago. Have you visit this pool? Do you work here? Please, contact us should you have knowledge that you feel is gonna be beneficial and recall from now on you can now promote every pool just by sharing this page together with your pals or adding comments in the Facebook boxes below. Come on and assistance this pool to be the very first in Kailua Kona! Swimmers like you have reported 103 feet x 36 feet, Salt Water, Outdoors. Also, you will find 73 feet x 25 feet, Outdoors. Just in case you want to contact this Pool just before dropping by, we only know the phone number. Do you know Kailua Kona? Updated on 2019 75-5530 Kuakini Highway , Kailua - Kona , Island of Hawaii, HI , USA (Postal Code: 96740). This sports center gives Olympic size x 25 yards, Outdoors. For this Pool, only phone number is number here. Updated on 2019 75-5699 Kopiko Street, at Palani Road , Kailua - Kona , Island of Hawaii, HI , USA (Postal Code: 96740). Among all of the activities offered by the center, when you are interested in swimming you'll take pleasure in 25 yards, 4 lanes, Outdoors. If it is advisable to contact this Pool, email address and phone number are both number. 72-100 Ka`upulehu Drive , Kailua - Kona , Island of Hawaii, HI , USA (Postal Code: 96740). This sports center gives 25 meters, 4 lanes, 3 feet - 7 feet depth, Outdoors. For this Pool, only phone number is number here.